Compact, reliable and safe, it is perfect for tech support and device deployment areas, production test rigs, mobile software development, retail displays and any place where taking advantage of USB 3.0 capabilities apply.. 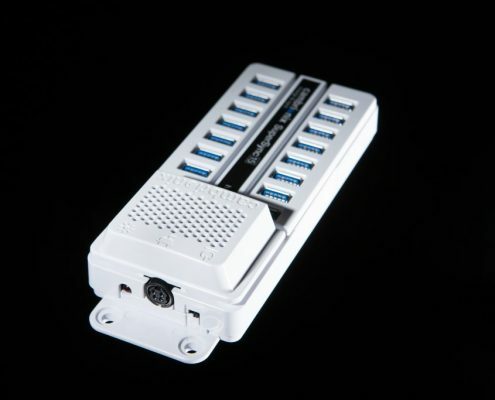 It is fully compatible with Cambrionix’s Live Viewer software and open API that displays and permits control of each port’s connected devices. And it provides for field-updatable firmware as new devices and applications are introduced. It can also be used with Configurator and third-party management products. 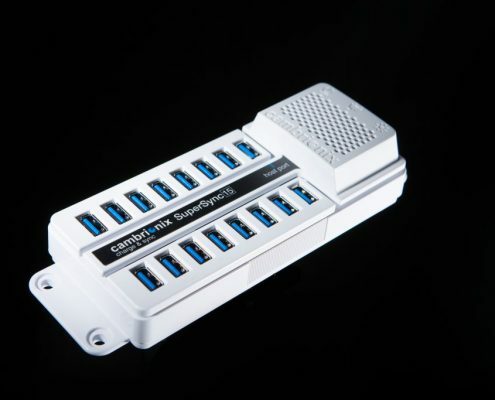 5Gbps data and 15 high-current charging ports compatible with all USB devices. Control and monitor the state of all ports programmatically via our API using any language which supports JSON-RPC calls.